Around 2 years ago, we stopped buying and started making as much as we could homemade. One of the first commercial items we ditched was shampoo. 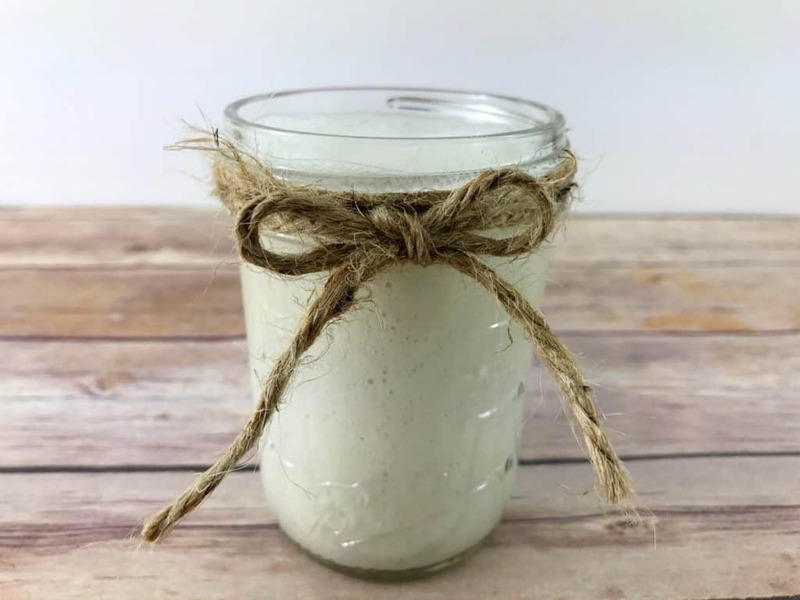 Originally, I started with just a basic homemade coconut shampoo recipe, but since then, I’ve moved onto making homemade shampoo to address specific hair issues I have. 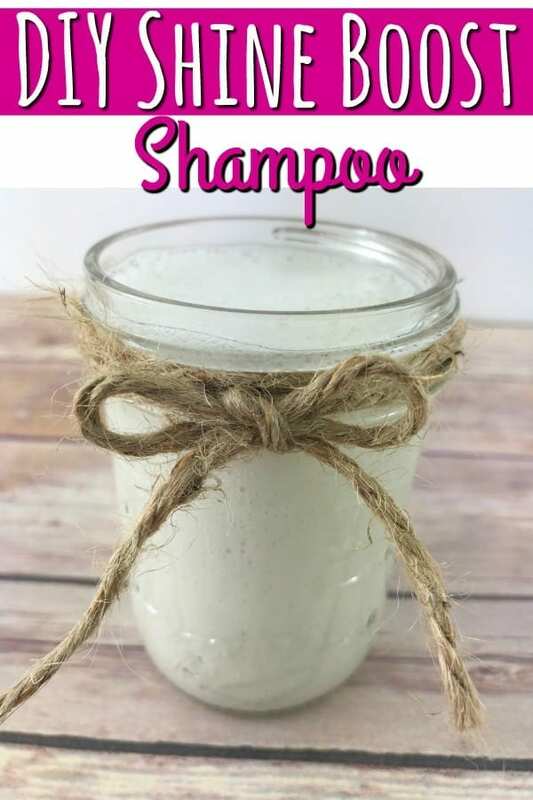 One of those issues was extremely dull hair which mean that I wanted to make a shine boosting homemade shampoo so that my hair would look as healthy as it is. What followed was this amazing DIY shampoo recipe! It has now become a staple in my bathroom alongside of my DIY Hair Detangler, my DIY Mouthwash and my homemade bodywash! Since I started using this shine boosting homemade shampoo, my hair is not only much healthier, but the shine is amazing! Even better than the original homemade shampoo recipe I posted, this has become my new favorite go to! 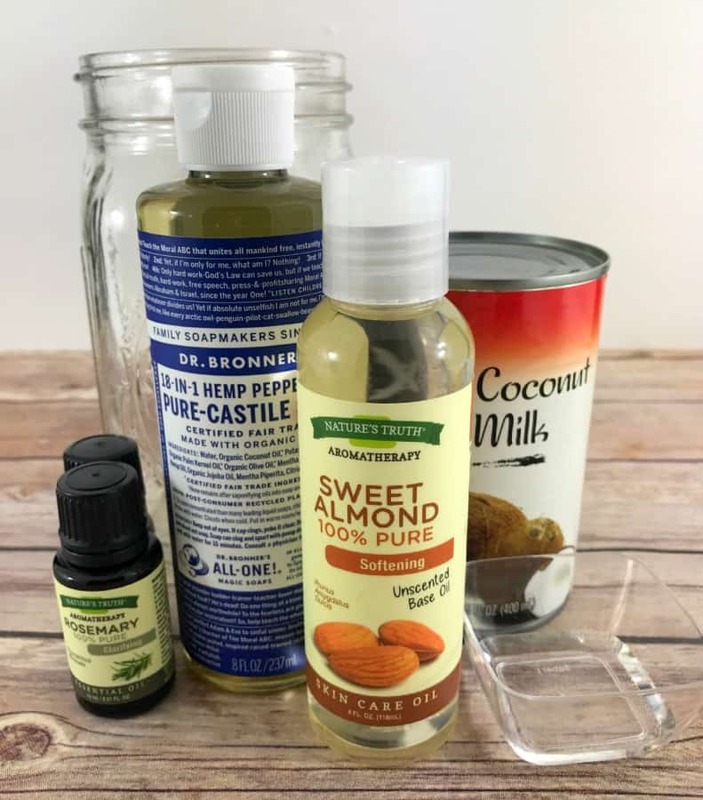 It’s super simple to make, keeps for a decent amount of time and if shine boosting isn’t what you need, it can easily be customized to address your own hair issues. To achieve the shine boosting effect, this DIY shampoo uses essential oils. I personally prefer to use Plant Therapy essential oils most of the time, but as you can see from the photo, I tend to just use whatever I happen to have on hand. It won’t matter what brand of oil you use as long as it is 100% pure essential oils. There is no official grading system for essential oils which means that anyone can use the words “therapeutic grade. Don’t be too concerned with those two words. Just be sure that what you’re using is not cut with a carrier oil or anything and you’ll be fine. 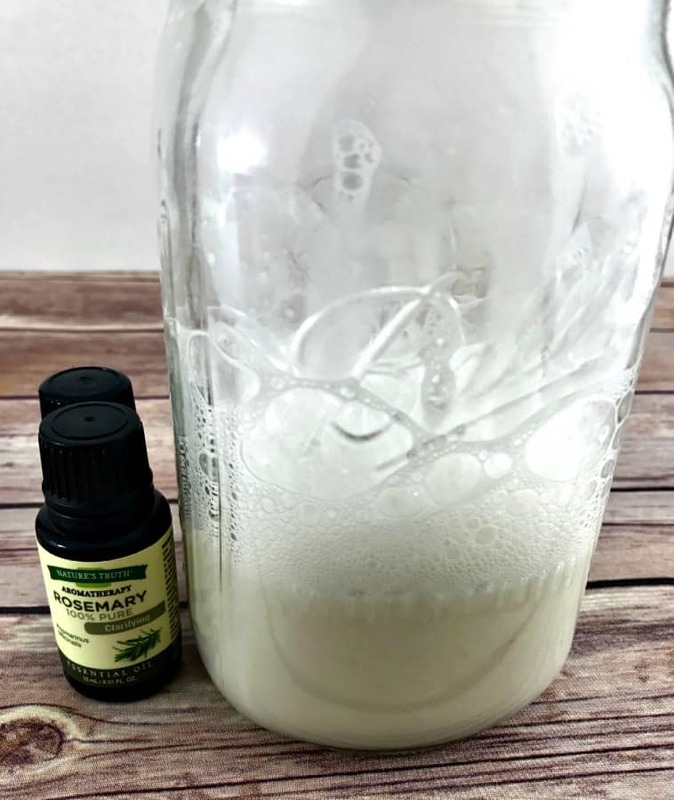 Since this DIY shampoo recipe can be customized, I’ll add a few other common hair issues and the essential oil combinations to the bottom of this post. If you want to make the switch to all-natural and homemade products, but don’t think you can afford it, one of the ways that I’m able to is that I took the time to learn how to earn free gift cards online. They help to cover the cost of any ingredients that I need which means I”m spending less out of pocket. 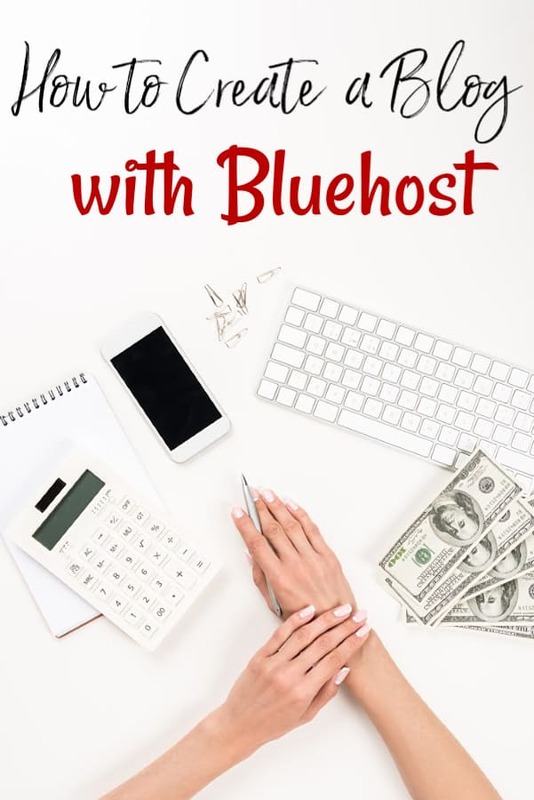 Obviously that method won’t work for everyone, but for those that are really and truly wanting to save big, it is an additional step toward doing that. As I said, this homemade shampoo is very easy to make. To start, combine the coconut milk, Castile soap, vegetable glycerin and sweet almond oil in a container with a lid. When I make this, I tend to use my homemade liquid Castile soap recipe instead of buying it. It makes things a bit cheaper for me. Add the lid and shake well to combine. Once you’ve got it mixed well, add the essential oils and shake it all to combine again. Once you’ve mixed it well, its ready to use! It’s best to store your DIY shampoo in the fridge until you’re ready to use it. When you are, pull it out and allow it to come to room temperature. Shake it well then use a small amount to wash your hair. You’ll also want to store it in a dark glass container. Essential oils can be “hot” and as such they can leech chemicals out of the plastic into the product. In addition to that, light is the enemy of an essential oil which means that if your homemade shampoo is exposed to light for too long, it can cause the essential oils to lose their properties. By using a dark, glass container, you eliminate both of those potential problems. If after making your homemade shampoo, you find that it is too thin, you can thicken it by making a salt water solution. Add .5 oz regular table salt to 1.5oz warm distilled water and stir until it is dissolved. Then, in very small amounts (1 ml or less), add to your soap and stir. Continue adding the salt water solution to your soap until you’ve got the consistency that you want. 5 drops Clary Sage essential oil – Pregnant women should not use clary sage.